Dining tables can really change any room; size, colour and material are all elements that are considered when choosing what dining table fits your needs. Before you buy a table, you may want to consider your needs for the table; is it for entertaining, eating, crafts or other activities? Deciding on your requirements will assist in future decisions. Choosing how many you want your table to seat is important, you can then consider whether or not you want a table with extendable elements. How big is your room? A common mistake is buying items that are too big for the house as this can make a room appear smaller, try to measure the dining room first and compare it with tables that you are interested in buying - a good tip is to check whether there is still space to walk when there are chairs in place. Shape is a factor that must be considered, most tables are either designed in stylish ovals and circles or clean cut squares and rectangles. Depending on room size and the main use for your dining table, you should be able to select a table shape. You may then want to decide on the material of the table - glass tables look great in contemporary homes while wooden tables complement both modern and traditional homes. At TJ Hughes you will find a fantastic range of great value tables and dining sets, for large families we recommend the Modena 7 Piece Ash Veneer Dining Set - the combination of faux leather chairs and an ash finished veneer table will look right at home in any spacious dining area. 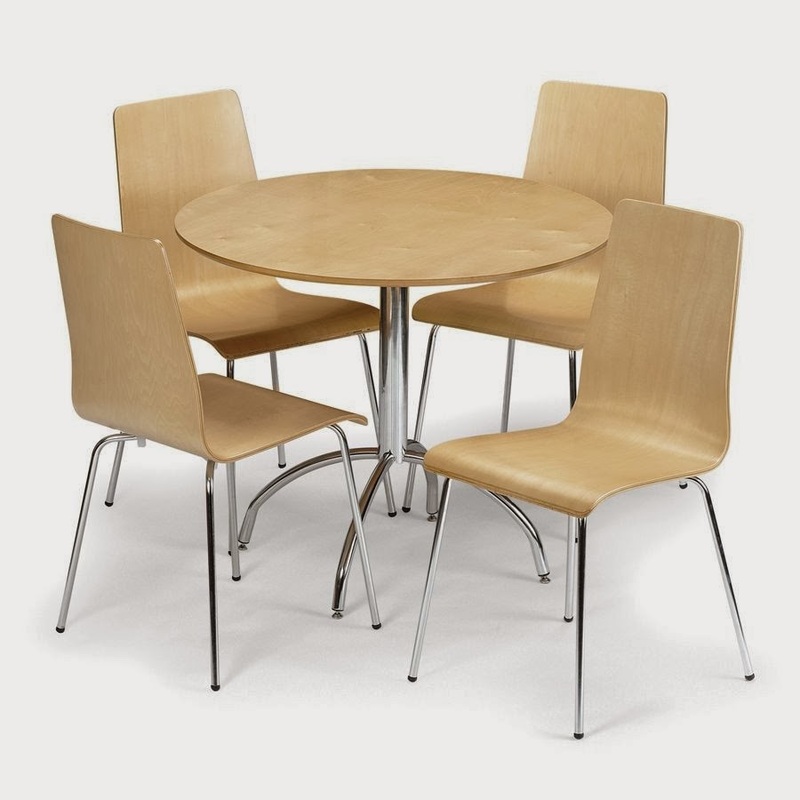 For smaller dining areas, or for Kitchen/ Diners, we suggest buying the compact yet contemporary Mandy 5 Piece Maple Dining Set - complete with a circle table and chairs, this table offers amazing value!